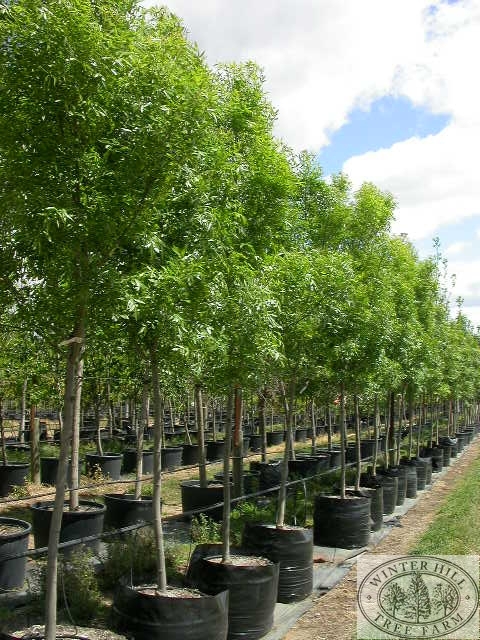 For a snapshot comparison of all Fraxinus varieties available at Winter Hill click here. 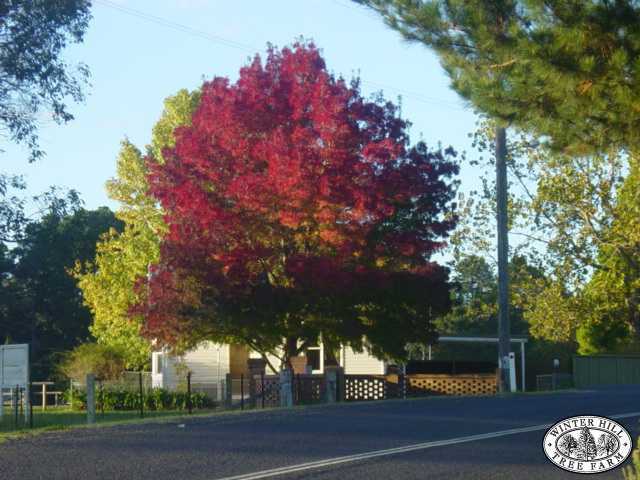 A tall hardy deciduous tree. Perhaps the most striking of all ash trees. Rounded canopy of dark green leaves in summer turning to shining plum-purple in autumn. Fast growing - up to 1.2 metres per year. Useful in parks, streets and large or moderate sized gardens. Prefers full sun and can endure hot conditions if water is available, but best colouring achieved in cooler districts. Medium, prefers moist and well drained.